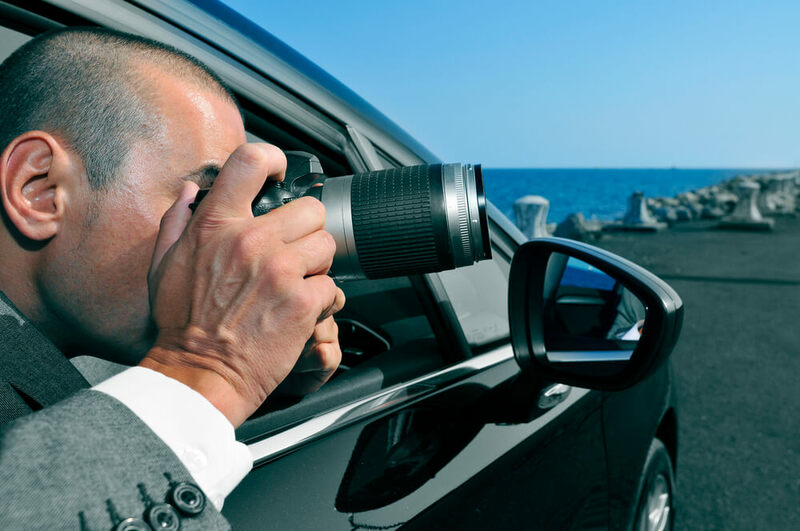 If you have high levels of concentration and the ability to stay cool under pressure, you might just have what it takes to become a private investigator. Often portrayed as exciting and glamorous on TV, in reality this profession involves a lot of hard work and skill. Think you can handle it? This is what a day in the life of a private investigator entails. Unlike a 9-to-5 job, the hours and duties of a private investigator can vary from one day to the next, and weekend and holiday work isn’t uncommon. Unlike a 9-to-5 job, the hours and duties of a private investigator can vary from one day to the next, and weekend and holiday work isn’t uncommon. A typical day might be spent meeting with clients and conducting surveillance, but the next day could be completely different. If you tire easily of doing the same thing all the time, the private investigator lifestyle is anything but predictable. Private investigation comes in a variety of forms, and not all work is related to criminal activity. Some insurance companies hire private investigators solely for the purpose of looking into suspected cases of fraud, saving them thousands of dollars in deceitful payouts. Other private investigators focus on the breakdown of relationships, catching cheating partners, and providing clients with proof of adultery. The first thing a private investigator commonly deals with in their day-to-day duties is the client brief, which is usually provided to the surveillance manager, who then passes the information on to the rest of the team. This document is crucial to the outcome of the investigation, as it contains specifics of the case and the client’s objectives. Only once the the brief has been received can the private investigators begin doing their job. Many fictional private investigators prefer to operate alone, but in the real world, it’s not uncommon for teams of 2 or 3 to work on a case together. Depending on the circumstances of the case, the team may travel by car, motorbike, and in some cases on foot, in order to observe and obtain key evidence related to their case. As one of the most commonly used tactics in the industry, surveillance plays an important role in a private investigator’s daily routine. Having the ability to blend in to their surroundings so that the subject of the investigation doesn’t get suspicious is something every good private investigator should know how to do. Conducting surveillance might sound exciting, but it usually involves sitting in a parked car for hours on end. You can’t take a quick nap or read a book to keep the boredom at bay either; one lapse in concentration could cost the entire case. Now that you know what a day in the life of private investigator is like, is it the kind of career path you would consider taking? Being a private investigator is not for everyone, but if you can handle the demands of this line of work, it’s one of the coolest career paths out there. David Strong has worked at Infidelity Investigators for 4 years now after leaving the state Police Force after a 15 year career in covert surveillance. David has found that these days, often the Subject's of a cheating partner investigation will behave the same way as a criminal. They do not want to get caught out! This makes for a very interesting day in the field. At Infidelity Investigators the focus is on catching cheating partners and spouses. Providing clients with indisputable evidence or in some cases giving them peace of mind is the priority. Infidelity Investigators have a team of approximately 120 surveillance Operatives located around Australia that are available 24 hours 7 days a week!